Time for the next Festive Friday challenge! We have a really whimsical, pretty inspiration photo this time. Another one with lots and lots of details so you can choose to go in lots and lots of different directions! I focused on the golden tree with all the pretty ornaments. I inlaid a glittery gold Simon Says Stamp tree into a circle panel (to pick up on the 'world' on the wall) and then a Memory Box sunburst die to get the different-sized dots for the ornaments, cut out of various glitter papers. Now it's your turn - even now as I look at the photo again, I see more and more little details that could easily inspire a card! I can't wait to see how you all interpret this photo! The deadline is Wednesday July 2 - hope to see you there! Love, love, love this card Ardyth and I have that die...feel a CASE coming on over here. 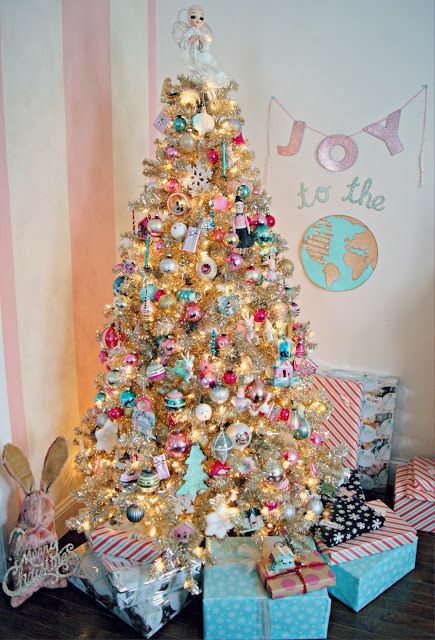 So beautiful and retro, reminds me of my Grandmother's tin Christmas tree. Love the colors, too. Your post put a smile on my face when i scrolled down and saw your photo, reminded me of our childhood felt and sequin Christmas stockings. I love your style and though this is my first comment, you have been an inspiration since i found you through pinterest. I look forward to your posts in my inbox- thank you and again, beautiful cards. Beautiful Christmas tree. Adorable toddler Ardyth. 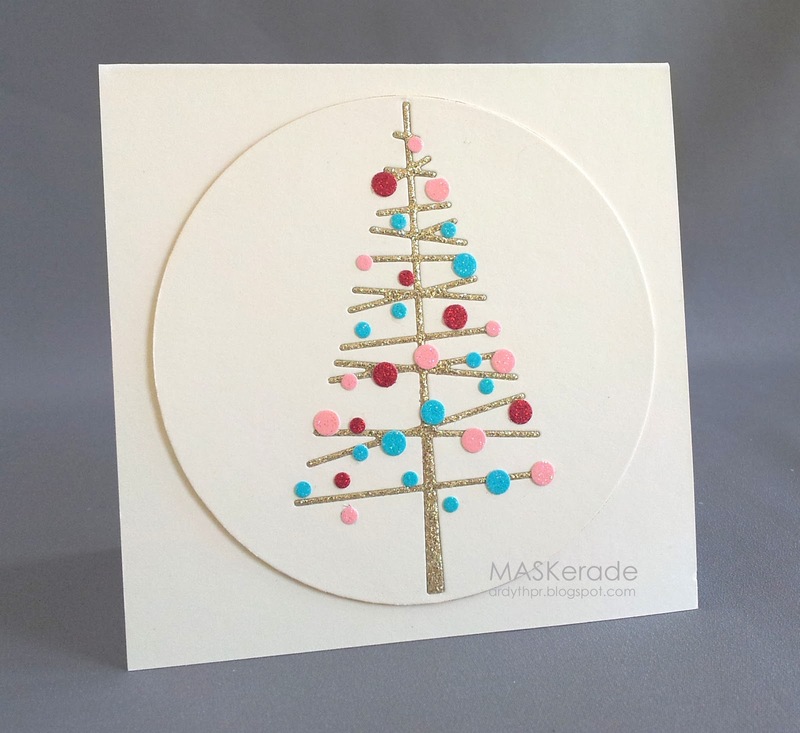 Ardyth I love your card, that tree looks good when it is all dressed up! Love it!!! Truly a fun & whimsical feel with the sparkle & shine of this cool Christmas color combo! I think this may be my next Christmas color combo...I pick a different combo each year and decorate based on that. Ardyth, you blow me away, every single week! I just love your super clean take on such a fussy photo, and you used all the colours so beautifully. You have such a keen eye my friend! LOVE the modern tree, so COOL!!! I LOVE this card, a perfect combination and dispersement of the colours. Awesome.